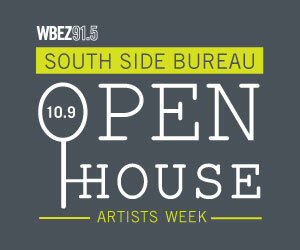 Join WBEZ Reporter Natalie Moore and local artist Marian Hayes as they transform our Southside Bureau into a photographic gallery of unique works. Marion will be displaying photos of her Wear White Wednesdays project. It is a feature from her radio show at Chicago State University, in which patrons of the annual Jazz in the Grazz and community shop owners, who display white garments in their shops, are photographed. And a few Jazz painting by artists Sandra Bridges, Reynaldo Ferdinard and Marcus Allen. All a part of Chicago Artists Month, come down anytime between 3:00pm and 7:00pm and enjoy a snack, a drink and talk to Natalie and Marian about art, the south side and issues that pertain to the neighborhood!